A Memorial Visitation for Wayne Bendickson of Baudette will be held on Saturday, January 19, 2018 from 2-5 PM at Helgeson Funeral Home in Baudette. Military Honors by the Baudette Veterans Ceremonial Squad will be at 5 PM. Wayne passed away on January 14th at the Sanford Medical Center in Bemidji at the age of 74. In lieu of flowers, memorials will be directed to a charity of the family's choice. Wayne Eugene Bendickson was born on August 9, 1944 in Thief River Falls, MN the son of Benjamin and Thelma (Dahle) Bendickson. He was baptized and confirmed into the Lutheran faith. Wayne lived in Highlanding, MN with his parents and siblings, Lois, Lilah, Wes, Ben, Micki and Susie. He attended country schools in his elementary years and Lincoln High School of Thief River Falls graduating with the class of 1962. Following graduation, Wayne worked for L.B. Hartz in Thief River Falls using his meticulous skills to detail to create the weekly ads. In 1965 to 1967, Wayne served his country in the United States Army stationed in Germany on the missile bases. Following his discharge, he attended Northern Tech School of Business studying to be a court reporter from 1968 to 1970. During this time, he also worked at Gould National Battery in St. Paul, MN. Realizing he did not want a career which kept him indoors, Wayne chose not to become a court reporter but became employed at Polk County as an appraiser which allowed him to be outdoors. This began his life-long career as an appraiser/assessor. He worked at Polk County from 1971 to 1975. He became a deputy assessor in 1975 in Marshall County which lead into his becoming Marshall County Assessor until 1987. Wanting a new challenge, he took his family to Lake of the Woods County where he completed his assessing career in 2011. During his time as an appraiser/assessor, Wayne became life-long friends with his colleagues; many of whom he still had contact. On July 28, 1978, Wayne married Claudia Kraemer at St. Bernard's Church in Thief River Falls. To this union, two children were born, Eric Nickolai and Bridget Anne. They made their home in Thief River Falls, Warren and Baudette, MN. Wayne became involved in these communities volunteering as a fireman in Warren, commander of the Linwood Laughy Post 217, Lake of the Woods Industrial Development Committee, and serving as president of Housing and Urban Development board for several years. Wayne's mission was to assist in betterment of the communities in which he lived. Wayne Bendickson loved mother nature at her finest whether it was winter, spring, summer or fall. He was an avid hunter and fisherman. 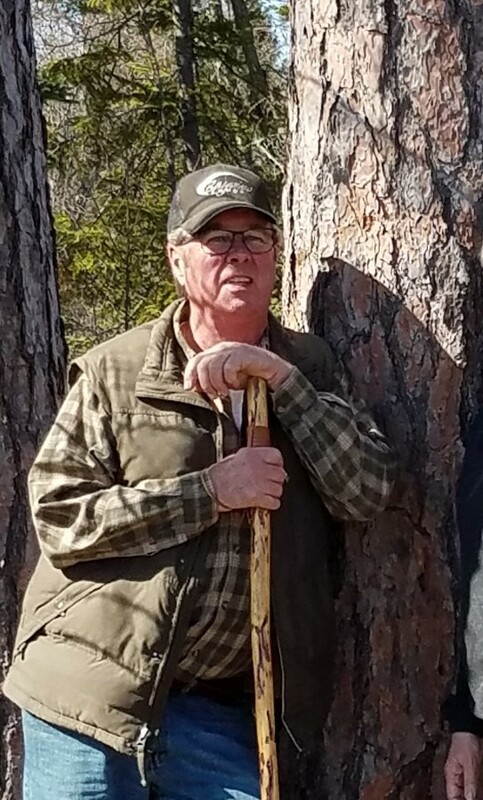 He enjoyed camping, boating, campfires, golfing, curling, trap shooting, and horseshoes which lead to many, many life-long friends. Wayne enjoyed music which he shared with his family and friends. He was not afraid to sing karaoke or with the make-believe mic. Wayne was a collector of guns, fishing memorabilia and “stuff”. He could spend hours upon hours meticulously polishing and cleaning. Foremost, Wayne loved people and a good time. He had an infectious smile and had time for good conversation. He was a peace maker and “Gentle Ben”. Left to survive him are his wife, Claudia; children, Eric (Jessica), Bridget “his Feedie”; grandchildren Chandler “Chan Man” and Katelyn “Katie Bug”; siblings, Lilah Malosky, Wes and Julia Bendickson, Ben and Marge Bendickson, Marquita “Micki” and John Schaffer and Susan and Steve VanVleet and many nieces, nephews, relatives and friends. He is preceded in death by his parents, Benjamin and Thelma, father-in-law and mother-in-law, Robert and Anne Kraemer, sister, Lois Vigness, brother-in-laws, Jim Malosky, Lester Vigness and Michael Kraemer, niece Nancy Hoyhta and her daughter, Amber Schiller and nephew, Mike Bendickson. “As a young woman my dreams were to be a wife and mother. Wayne came into my life and fulfilled my dreams for which I am grateful and blessed. We were living that dream”, fondly reflected his wife, Claudia. God has you in his keeping, Wayne. But, we have you in our hearts. Your love lives on.